In our day-to-day practice as TCP relationship therapists for cloud services, applications and networks, more often then not, the not-so healthy starts and endings of a relationship has a significant impact on the user experience! But how can you tell if relationships are healthy? And what if not-so-healthy, where to start with fixing things? To what extend is the integrity of your data impacted? 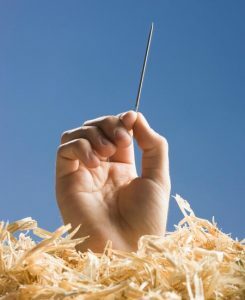 Especially in today’s end-to-end encrypted, turbo-charged, hybrid environments, it could very well be experienced as searching for some needles in a haystack! This is the 1st post (of 5 in total) where you will learn how a basic set of TCP session data presented in an easy-to-understand format helps you to identify the low hanging fruit for performance improvements. Each post includes practical, real-life examples based on two externally hosted e-mail services. One e-mail service is hosted by Host Europe and the other one by Google/Gmail. Moreover, references to relevant, detailed case studies are also made. Reason for taking the NPM (Network Performance Monitoring), TCP session data approach is that the network is the linking pin for all cloud services, business applications and their content. Therefore TCP session data is the number-one place to look when base-lining and analyzing the healthy and the not-so healthy relationships. While the examples are based on hosted e-mail services, this approach works for all types of cloud services as well as any type of business application; encrypted or not. You may even consider using this information as a starting point for managing the contractual aspects about performance and availability related SLO’s (i.e. Service Level Objectives); more on that later. What is also good to know that the integrity of your services, applications and data is guaranteed because all TCP session data is collected in a 100% passive, non-intrusive manner! As you probably know the majority of the cloud services and applications are using TCP protocols to transport data. All these protocols use TCP flags and TCP sequence numbers as a vehicle to assure reliable relationships on client- and server-side. Counting the amount of different TCP flags for all end-user devices gives you a good understanding how your cloud services and applications are behaving! If not behaving as expected, you have a jump start on troubleshooting. Relationships for all end-user devices. TCP flags known as SYN, FIN and RST; refers to starts, endings and restarts of a relationship. TCP events known as DupAck (i.e. Duplicate Acknowledgement) and 0-Win (i.e. 0-Window-size); refers to the health of a relationship. Meaning the path between 2 hosts and the health of the hosts itself. # SYN’s – refers to relationship starts; should be twice the amount of relationships. This is because the 3-way handshake SYN | SYN-ACK | ACK (i.e. Acknowledgement) always includes 2 SYN’s. When successful a 2-channel, full-duplex relationship is ready. # FIN’s – refers to relationship endings; should roughly be twice the amount of relationships. This is because in a healthy situation each relationship ends with a FIN-ACK initiated and confirmed by both, client- and server-side. Roughly because some cloud services and applications are working with long-lasting relationships. Meaning from time-to-time, the amount of FIN’s might actually be lower than twice the amount of relationships. # RST’s – refers to relationships restarts/resets; should be close to zero. Depending on the TCP stack, it could also be an indicator on the amount of relationship-endings; similar to using a FIN-ACK. In particular Microsoft applications running over SSL are well-known for this (mis-)behavior. # DupAck’s – refers to delayed/lost messages. # 0-Win’s – refers to a high system utilization; should be close to zero indicating that the involved hosts are in good shape for processing incoming messages. Ideally the amount of RST’s, DupAck’s and 0-Win’s are all zero. This is a strong indicator for the best possible QoS (i.e. Quality-of-Service) in any given relationship! As mentioned earlier, it is highly recommended that you base-line these 5 KPI’s. Use the results as a starting point for managing the contractual aspects about performance and availability related SLO’s. Each of these KPI’s are very helpful when answering questions like “Is it the client, the network or the server? And if a combination, to what extend each and where to start improving things?“. This is important because more often then not, without these KPI’s and its base-lines, it takes weeks; if not months before these questions are answered. See the highlighted line in the next figure: what this line tells you is that for the given period, relationships with the 2 e-mail services were fairly healthy. The client was able to start 26 relationships in a healthy way. This is based on the “x 1.00”-column; it shows a 1.00 indicating that the relationships where started within the first attempt of the 3-way handshake. Anything higher, like for example 1.36, indicates some relationships where started in a not-so-healthy way. From these 26 relationships, 1 is still on-going, 24 ended in a healthy way and 1 ended in a not-so-healthy way. This is based on the different values for the columns “# Clt. FIN”, “# Srv. FIN” and “# End”. Ideally, all three should be the same. What this figure also tells you is that both client and server are in good shape when it comes to processing incoming messages because the columns “# Clt. 0-Win” and “# Srv. 0-Win” show all zero’s. However, the columns “# Clt. RST” and “# Clt. DupAck” tells you that there were some struggles in keeping the relationship healthy. Especially the DupAck is a good indicator for messages that are delayed or even dropped by one or more devices on the path between the client and the server. This ends the 1st post in which you have learned how to identify the healthy and the not-so healthy relationships based on a few KPI’s and its thresholds. 3 x five = ?